We are currently closed for the remainder of the 2018 season and will re open Friday May 3, 2019 for the 2019 season. Thank you all for a great season. Welcome to Plumas Pines Resort! 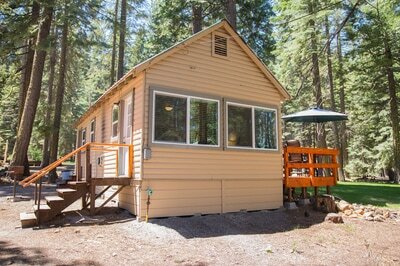 Please take some time to explore our website and imagine yourself here in the beautiful Lake Almanor basin. Within these pages you will find all the information you need to plan your next amazing family getaway from the hectic pace of everyday life. We are open seasonally from May 1st until October 31st, but there’s no wrong time to enjoy this hidden gem. 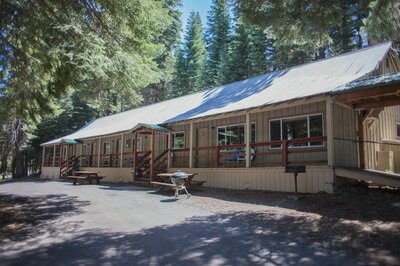 At this time we offer 8 cabins, 9 motel rooms and 63 R.V. spaces for rent. Year after year our regulars return to visit or stay. Some groups book their weekend on the same date yearly, while other families move up for the whole summer and build a welcoming community that only gets stronger. Lake Almanor is a place where most people know one another’s names, and if we see a new face we’re quick to introduce ourselves with a smile. If you’re looking for fine dining or a drink with friends, our lakeside restaurant and bar offers an unbeatable view. 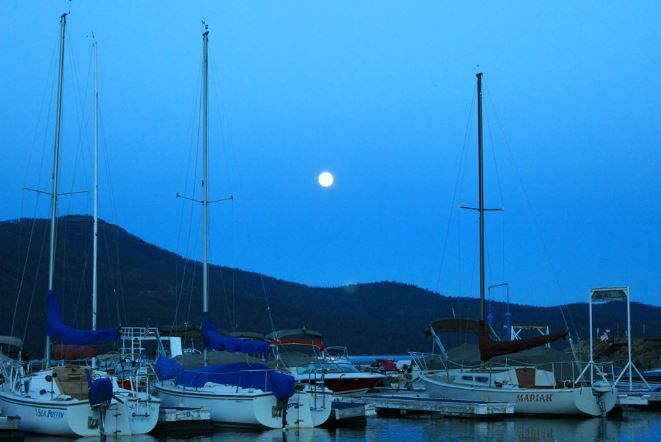 Plumas Pines Bar and Grill proudly claims the only lakeside restaurant on Lake Almanor. Cruise right up to our courtesy dock and unload your boat for lunch or dinner all summer long. During the bulk of summer we have live music Friday & Saturday nights (with special performances on other nights during holidays). Check our 2018 band list on the bar’s webpage for upcoming dates and additional information. 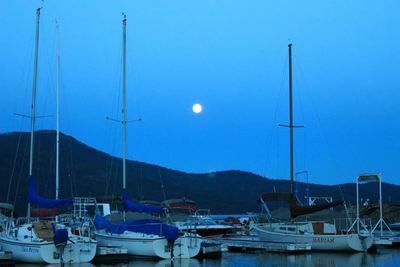 Plumas Pines also has a full service marina with boat slips available both long and short-term, along with a boat launch and an extensive selection of boat/jet ski rentals. After launching your boat or jet skis, fuel up at our floating convenience store and boatside-service gas pump. We have everything you might need for the perfect lake getaway: the only thing that’s missing is you! 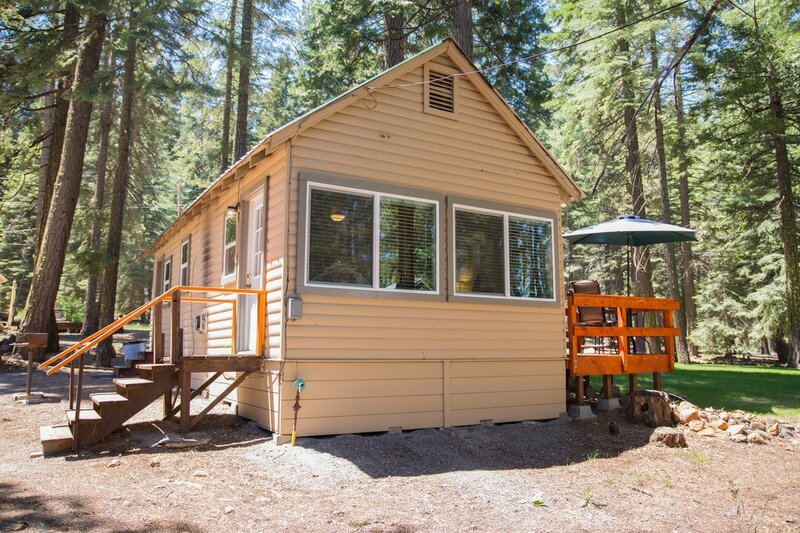 Come on up to Plumas Pines Resort and relax. You’re on mountain time now. Sign up here for promotions and special offers. Copyright © 2019, Plumas Pines Resort, Inc. All rights reserved.